The original CliffsNotes study guides offer expert commentary on major themes, plots, characters, literary devices, and historical background. The latest generation of titles in this series also features glossaries and visual elements that complement the classic, familiar format. 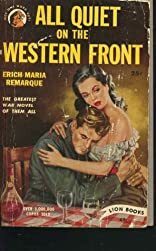 In CliffsNotes on All Quiet on the Western Front, Erich Maria Remarque takes you inside the gruesome realities of World War I through the eyes of Paul Baumer, a sensitive teenager and typical infantryman in the German army. Classic literature or modern modern-day treasure - you'll understand it all with expert information and insight from CliffsNotes study guides. About Erich Maria Remarque (Author) : Erich Maria Remarque is a published author of children's books and young adult books. 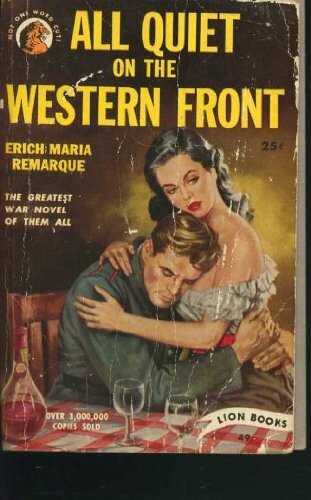 Some of the published credits of Erich Maria Remarque include All Quiet On the Western Front.